A new way to waste time! 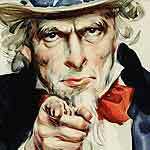 But seriously, come on in, this is gonna be fun,..
Below you’ll find a grand experiment: Laser Time TV! A 24 hour streaming channel with stuff most of you are guaranteed to dig. 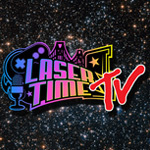 Right now it’s a lot of Laser Time stuff, but we’re going to be experimenting with other content, and if you’re liking it, you’ll have ample opportunity to chime in either in the comments, or the LIVE Chat below. Stay Tuned! This is a really cool idea! I also like that the Marvel trading card videos happen to be on as I type this. I hope they keep up the videos. It’s rather unfortunate that they don’t get the views to reflect the obvious amount of work that goes into them. I really wish I could partake in the live streams but I’m always working when they are taking place. Yeah, this is a cool idea. I’m in the same boat as Zap Rowsdower, in that most of the time, I have to be work when the guys are doing their live streams and wish I could participate more often. Ditto here. Glad I catch some of this stuff when I want to. This is great. You guys continue to be the content kings. ohhhh! is this what you were talking about a few years ago Chris? a 24 hr channel on the internet that has VJ host that throw to shows like MTV? oay, okay… I honestly assumed it would have happened by now, but if you guys have to be/get to be the first to try it… by all means be pioneers. I kind of like the idea of coming home from work at 12am sitting down and just walking into the middle of something LaserTime fun. Let me know if you guys ever want/need animated bumpers to go between segments a la, Nickelodeon circa the late 80s. This is amazing. Fantastic idea! If there is some way to make this a Roku channel, I’m there! This is phenomenal — love it. Very cool idea! Sad it’s offline so I can’t take a look atm. I’m so excited for this. I whittled away EVERY evening of my early 20’s in a livestream channel chatroom like this. 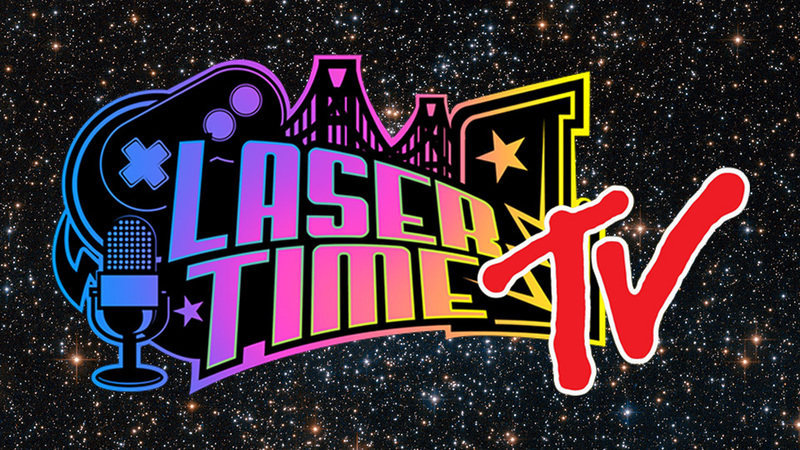 I discovered a lot of good pop culture that way and met some now IRL friends like fellow Laser Time fan Thom Casper! This is gonna be great. This is pretty cool! I like the idea of LT stuff integrated with related programming. This is fantastic. I hope I’m able to keep up with program. Love LT! Love this idea. Once I have good internet again I will be watching this all the time. This is unbelievably cool. Long live Laser Time! man. its great to not have to search for something to watch after work. i can just put on LTTV and enjoy my burger and beer. Is there any option on strimm to make a unified timezone? I’ll grant that would make the timing of playtime more important, but the IRC chat is less useful for show discussion as often we’re in different timezones seeing shows. Also the cruelty of starting the Critic marathon at midnight. Thank you for this! I love the variety of shows, and I was able to confirm that a movie I remembered seeing a loooong time ago actually existed (Naked Space)! I’m late to the party and just found this via a podcast, but its been a wonderful buddy while playing through Zelda. Thank you for the great content and fantastic idea!